I’m going to begin by saying this list is made up of estimates, albeit well-thought out ones. There is no public list online chronicling what the five least frequently owned/hardest to obtain legitimate Pokémon in the 6th Generation at the time of writing are (although Game Freak almost certainly have such a list internally as it would be easy for them to obtain). All the Pokémon featured here are banned from the GTS and impossible to get hold of via normal play, which automatically makes them scarce (partly because it gives those with the tools to do so less incentive to clone these Pokémon). Of the banned Pokémon I managed to single out 5 I felt were exceptionally rare, even among this elite list, and provided reasons why they are so elusive. Please enjoy, and do feel free to comment with any thoughts/if you think I’m wrong etc. Ah, the much craved jewel Pokémon. 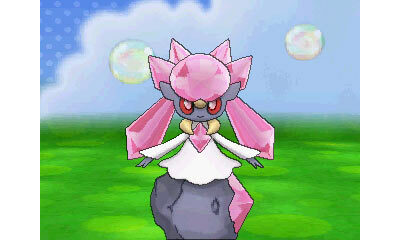 Diancie didn’t arrive on the scene until Pokémon X/Y had been around for 9 months. It was first released in Japan in July 2014 to celebrate the ‘Diancie and the Cocoon of Destruction’ movie. Those of us not lucky enough to have a generous Japanese trading partner to either simply give us their’s or clone us one had to sit tight until it appeared in our region ; August in Taiwan, October in America and the PAL region, and not til January 2015 in Korea. By this late stage many players had no doubt already collected the first 718 Pokémon in the Pokédex, and I’m willing to bet that not all of those were organised enough (or remained interested in the game long enough) to bag themselves a Diancie in their region during the relevant time period. Hence, those who missed these events (which lasted between one month and four depending on region) are now soley reliant on those who were (again to either sacrifice the original or to clone a spare). I’ve mentioned cloning a few times now. You’d be surprised how prevalent cloning is in the Pokémon community, regardless of whether the recipient is aware of this or not, such is the nature of online trading. I am of the belief that there are extremely few complete Pokédexes out there that don’t contain atleast a handful of clones, despite many trainers making every effort to avoid them. Of all the generations with Pokémon compatible with the Generation 6 games ; the Generation 6 exclusives are the very hardest to clone. During the Nintendo DS era most people I knew with the console had flashcards, through which cloning Pokémon was ridiculously easy. Owing to frequent 3DS software updates (and, with it, the risk of bricking one’s console) software piracy on the 3DS is not a common practice. For this reason in addition I believe this 6th Gen, Event-only Pokémon to be the rarest legitimate Pokémon in existence right now. 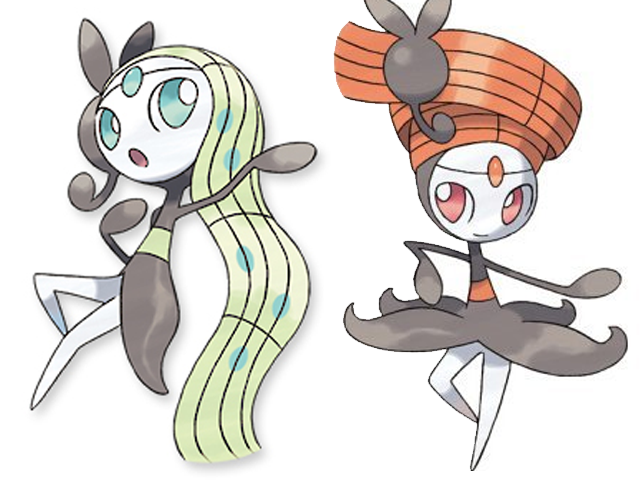 Melotta, Keldeo and Genesect were previously only available via Generation 5 events, making them perhaps the 3 rarest Pokémon of the previous generation. Melotta and Genesect are still only legitimately obtainable through trades of these, but in Japan there’s recently been a Keldeo Omega Ruby/Alpha Sapphire giveaway (running from 1st December 2014 to April 30th). Melotta now very likely takes the lead in the rarity stakes (will get on to Genesect shortly). 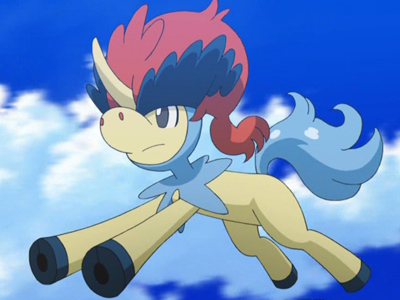 This equine’s adorable appearance isn’t the only reason he is much desired among Pokédex completionists! Yes there’s now the aforementioned Keldeo 6th Gen giveaway. But it’s limited to one territory, meaning Keldeo is still one of the toughest Pokémon to get hold of if you weren’t lucky enough to grab it during one of its Generation 5 event periods. Like I said, Genesect was previously only obtainable via Generation 5 events. The reason I estimate it to be slightly less rare than Keldeo or Melotta is largely based on a presumption. 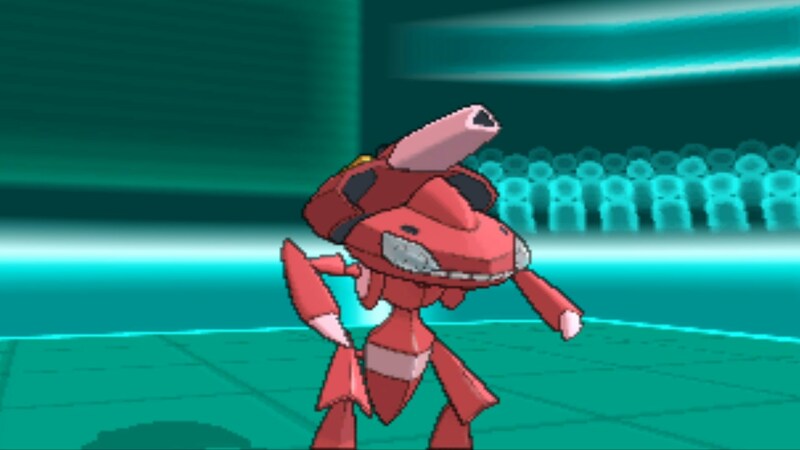 Unlike the other two, Genesect was released both in its standard colourset and in shiney form (although the shiney form was a Japanese exclusive). Given the relative ease of cloning Generation 5 Pokémon (which, I might add, was not quite as easy as cloning Generation 4 Pokémon for reasons I’ll later discuss) I am of the opinion that many cloners wouldn’t have been able to resist cloning this rare treasure in both forms. Especially those with easy access to Event Pokémon using tools such as Pokésav and websites such as PokEdit). The result ; a sizeable number of Genesects are floating about. This assumption is backed up by the fact I observe my top 3 guesses requested much more frequently in GTS trades. 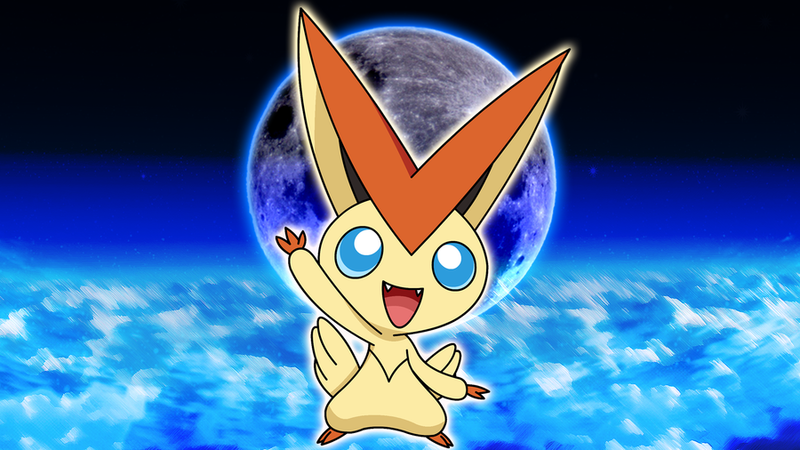 Ok, so Victini’s no where near as rare as the Pokémon listed above. The Liberty Pass item which allowed players to board a boat in Black/White’s Castelia City was distributed alongside the release of Black/White. Although I have no stats to prove it I’ve always assumed this to be one of the most popular distribution events ever. I mean, when are event Pokémon not on a player’s mind more than around the time of a new game’s release? 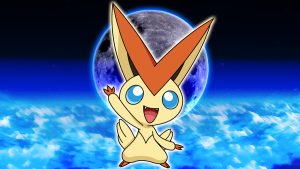 The result ; a large amount of Generation 5 players owned their very own Victini. That said, Victini didn’t hit the scene until Generation 5 (unlike the banned Pokémon not featured in this list), and this is of of significance. As hinted above I am of the belief that the earlier the generation the less rare their special Pokémon will be (Generations 1 – 3 are an exception, as Game Boy Advance Pokémon are the earliest that can be traded to Generation 6, and these consisted of Pokémon from all these generations). For one thing ; the earlier a Pokémon’s been around, the more chance there has been to clone it. You also have the fact that some fans fill a fresh Pokédex with each game release, and older Pokémon will obviously exist in a higher number of these. Lastly people were less likely to clone Generation 5 Pokémon. Towards the end of the DS era the software became increasingly hard to pirate, and this was true of the 5th Generation Pokémon games. It’s not every Pokémon fan that had the time or inclination to update their flashcard’s firmware to work with them. I hope you guys have enjoyed this list, and keep playing Pokémon!